Indian conglomerates Essar and the Tatas are among the entities shortlisted by the Nigerian authorities for privatisation of firms created out of Power Holding Company of Nigeria, says a media report. Nigerian daily 'THISDAY' has reported that Dangote Industries, Oando Gas and Power, Honeywell Energy Resources International, Actis Infrastructure, an Essar consortium and Tata Group are prominent among the 207 companies with 525 bids pre-qualified for the next stage of privatisation of successor companies of PHCN. 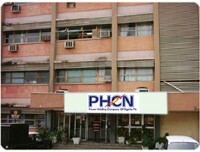 Power Holding Company of Nigeria (PHCN), which monitors the African nation's power sector, was unbundled into 18 entities. The report said that out of them, six are generation companies, 11 distribution firms and one transmission entity. The process of privatisation is being handled by Nigeria's Bureau of Public Enterprises (BPE). and appoint a management contractor for the transmission firm. "... Dangote, Actis Infrastructure, Abu Dhabi National Energy Company, Marubeni Corporation, AES Corp and Tata are among 40 companies that had their bids pre-qualified for the controlling shares of hydro-generation companies," it noted. According to the daily, an Essar consortium, Korean Electricity Power Corporation, Supertek and China Southern Power Grid are among 87 firms, whose bids have been pre-qualified for acquisition of thermal generation companies. "For the distribution companies, Oando Gas and Power, Honeywell Energy Resources International, ACA consortium and Energy Company of Nigeria - Negris Holdings are among the 80 companies with successful bids," the report said. Last week, the BPE - the privatisation implementation agency - shortlisted 525 bids from a total of 929 bids it received from prospective investors for privatisation of 18 successor companies of PHCN, the newspaper noted. Earlier, BPE had said that it received 331 expressions of interest (EoIs) from various entities.